This is a sponsored post written by me on behalf of Viva® Vantage®. As always all opinions are 100% mine. Do you ever feel like your shopping cart is on auto pilot and you are mindlessly adding the same items without much thought? 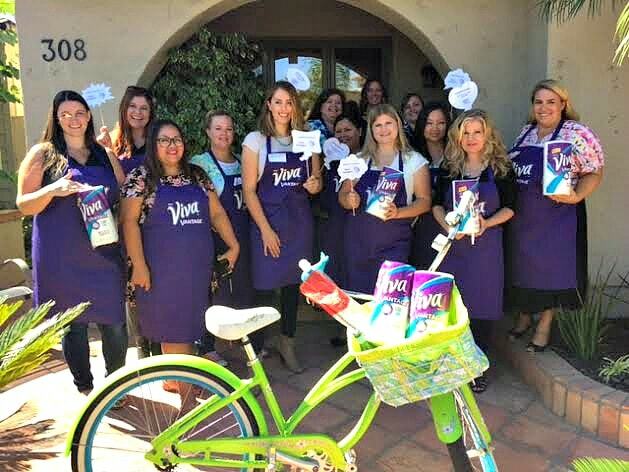 Viva® Vantage® understands that people fall into ruts and routines in their life, which can include our shopping habits with the household products we buy. Just by buying the same household products with each trip, we can miss out on other great options in the process. 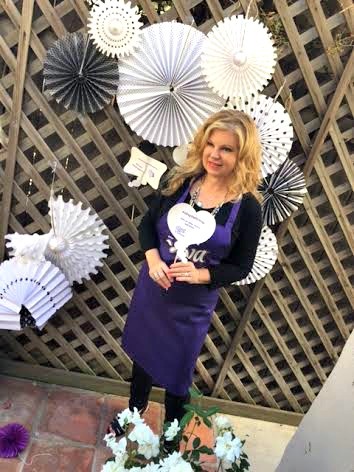 I was excited to be invited by Viva® Brand to a lovely event in southern California along with other bloggers and take the “7-Day Switch Up.” We were asked to switch up our routine by trying Viva® Vantage® for seven days and then get together to share the clever ideas for entertaining, cleaning or kitchen switches that we came up with. My favorite tip was using them to make my glasses sparkle. 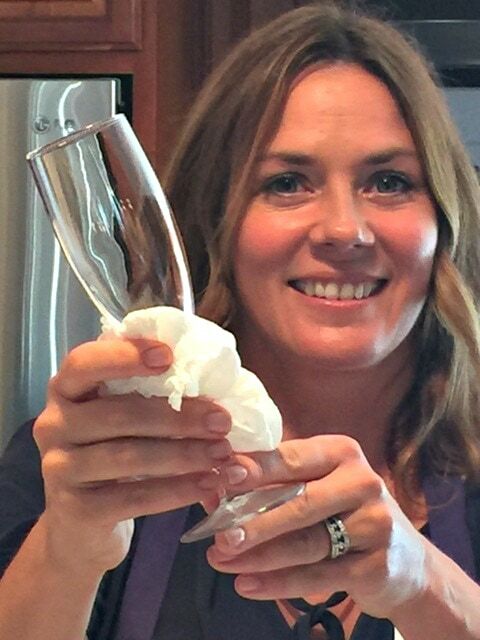 Have you ever wiped off a glass only to have it look worse? The revolutionary V-Flex™ Weave is so strong that you can use the “Stretchy-Strength” of Viva® Vantage® to clean a cupboard full of glasses and not have to worry about leaving lint or fibers behind. The sponge-like absorbency allows you to use the towel as a strainer or colander for veggies and fruits. If you are like me, you dislike grabbing the colander to rinse grapes or fruit and then having it take up half of the dishwasher. Be sure and use it to clean your potatoes and mushrooms. Viva® Vantage® stretches to scrub and does a remarkable job! We saw why Viva® Vantage® was recently named a 2015 Product of the Year. Being a frugalista, my old custom was to grab and go with whatever paper towel option was the cheapest. I would use up a roll in no time because the paper towels were not strong enough to get the job done. Viva® Vantage® stretches to scrub everyday messes. Like me, I’m sure you will be quite pleased with a product that works as hard as you do. It’s a great multi-tasker. 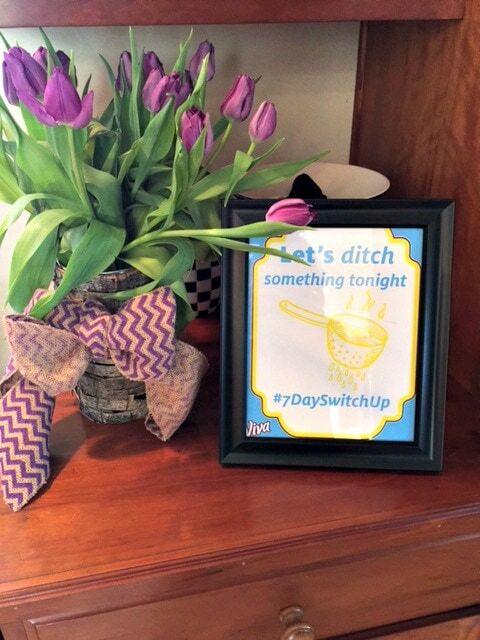 Visit Viva® Vantage® here for a coupon for your purchase to take the Viva® Vantage® 7-Day Switch Up for yourself! Then return to the website to dish on your switch and enter for a chance to instantly win a $100 gift card. 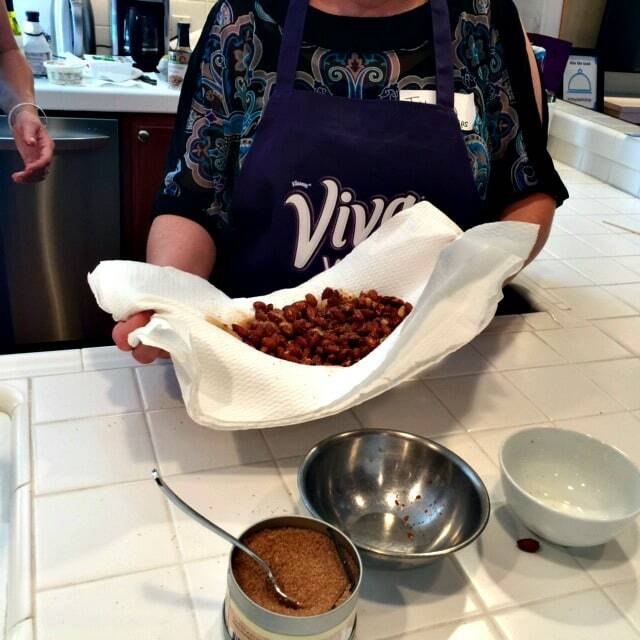 Thank you to Viva® Vantage® for sponsoring this post and for a fun event! I haven’t tried this particular kind of paper towels yet, but I so can relate when you wipe a glass and it makes it look worse! I hate that! I am seriously loving the wine tip! I always end up remembering wine at the last minute and need it chilled quick! I cannot find Viva towels in any of our stores! We used to get them all the time, but it seems they quit carrying them! i keep hearing such great things about this brand of paper towel. 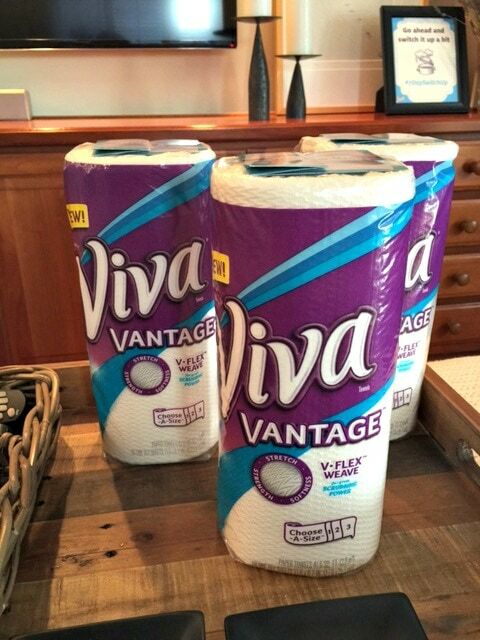 i’ve never tried viva, but i’m totally going to buy a roll!